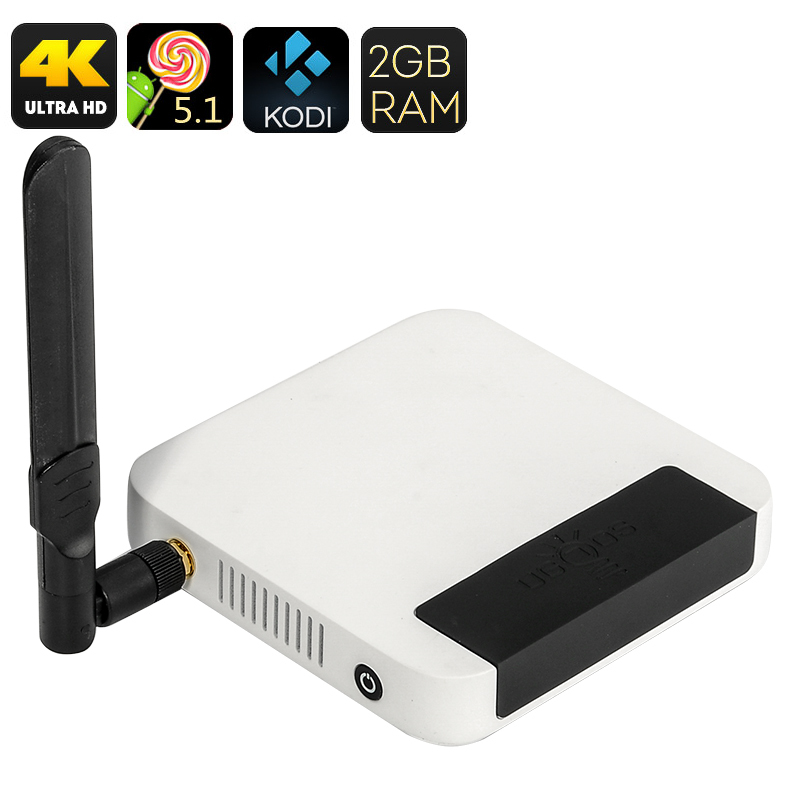 Successfully Added UGOOS UT4 Android TV Box - UHD 4K, Kodi 16, Android 5.1, Rockchip 64BIT Octa Core CPU, 2GB RAM to your Shopping Cart. You are probably well-familiar with Ugoos already, following the success of the company’s previous TV boxes, namely Ugoos UT3 and UT3S. The Ugoos UT4 comes with an even smarter interface, a set of cool upgrades, powerful 64-bit octa core CPU and super fast PowerVR G6110 GPU for all the gamers out there. The Ugoos UT4 comes with a set of great features for you to discover. With it, you can instantly upgrade your TV experience with the latest Android 5.1 operating system and get lots of great content, whether apps, media or games, from the Play Store. So, sit back, relax and enjoy watching all of your media content in 4K Ultra HD. Speaking of games, the UGOOS UT4 Android TV Box is there to offer you a great experience thanks to the PowerVR G6110 GPU – making for seamless gameplay with the best graphics. Backed up by the Rockchip 64-BIT Octa Core CPU, the TV box will guarantee smooth performance and lots of options for multitasking. With 16GB of internal memory, you have plenty of space to store your media by default - plus, an option to add 64GB onto that externally through a micro SD card. Thanks to the H.265 encoding, the content on your TV box won’t take too much space, letting you save valuable storage resources and you can download content faster. The Ugoos UT4 comes with great external connectivity, featuring 3 USB ports, OTG, micro SD card slot, HDMI and more. HDMI 2.0 comes with its own upgrades and possibilities, supporting new higher bandwidths. With the support of DLNA, Miracast and Airplay, the Ugoos UT4 gives you lots of watching options. Plus, Kodi (previously XBMC) runs great on the TV box and comes pre-installed. The UGOOS UT4 Android TV Box comes with a 12 months warranty, brought to you by the leader in electronic devices as well as wholesale Android TV boxes..